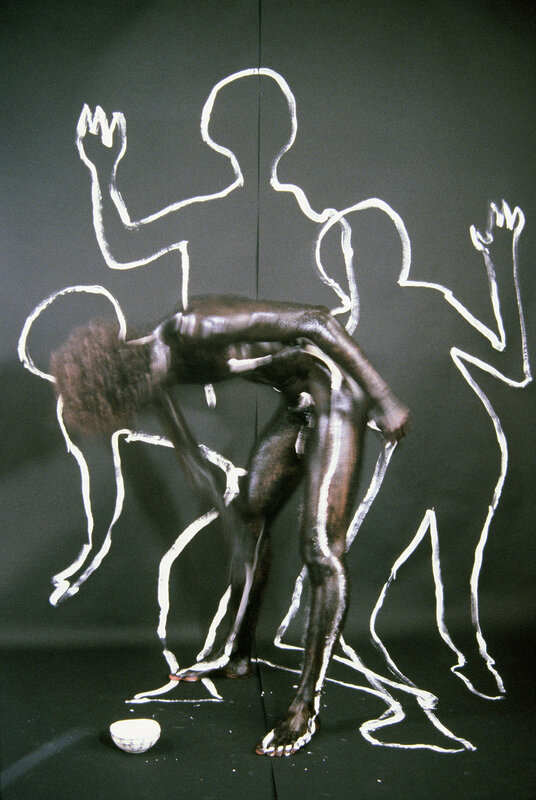 NEW: video editing of photo-performance and participative installations. A 2007-2017 selection. On my youtube channel. Over 10 years of photo-performances created with an inflatable earth globe, photomontage printed as an artist book. Digital prints series produced in three (3) signed copies: 2 of them are numbered 2/2 and are included in a wooden book/case, in a total of 23 photographic diptychs and one text by the philosopher and artist Hervé Fisher. These copies have the GPS coordinates transcribed on each print which corresponds to the place where the footage was shot. The third copy has been printed separatly, numbered E/A, and having only the topographic decription (no GPS coordinates) of the place where the performing has been acted. From the series "Porter le monde jusqu'au bout du monde"
Photo-performances produced in collaboration (Beaulieu, Zayed, Haxhillari, Preka, Boissonnet) with clear plexiglass suitcases in the street of Manhattan and in front of the Withney Museum, the Museum of Modern Art, the Metropolitan Museum and the Guggenheim Museum. Photographic series. As part of the collective project “Transparent Travel 2015” in Venice. A 2:20 minute video-performance produced in parallel with the 56th Venice Biennale (Giardini) in front of the pavilions of the United States and Russia (with Lorraine Beaulieu). 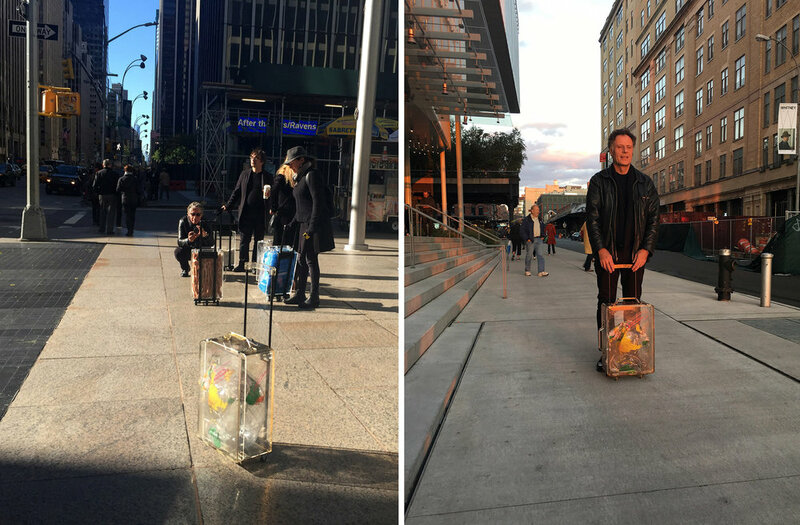 A 2:10 minute video-performance produced in the square of Belgrade (Serbia) city center with an inflatable earth globe and a see-through suitcase.